Lightwood Games is delighted to announce the release of Crossovers by POWGI for PlayStation 4 and PS Vita. 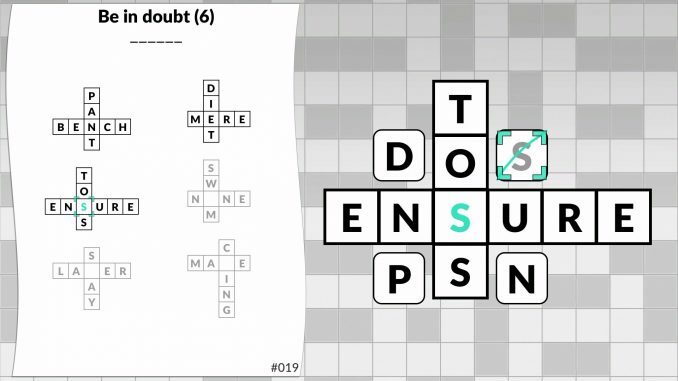 This fast and engaging twist on the classic crossword puzzle is available to download on the PlayStation Store today. Crossovers are little crosswords with only one letter missing. 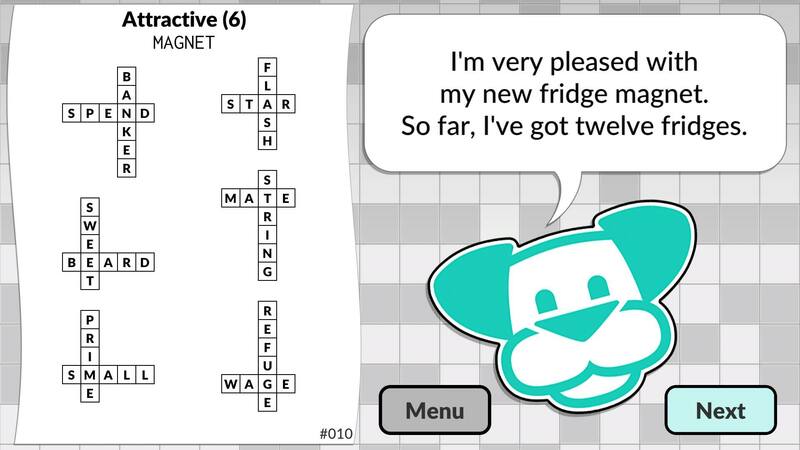 Once found, the missing letters can be rearranged to spell the answer to to a cryptic clue. Cross-buy is included so players can download the game on PS4 and Vita with one purchase. Players who complete the game will be rewarded with a platinum trophy. It is priced at $7.99 / GBP £6.49 / €7.99.